Desertfest London 2016 will take place at Koko, The Electric Ballroom, The Underworld, The Black Heart, The Jazz Cafe in London, UK on April 29 – May 01, 2016. Electric Wizard, Corrosion Of Conformity and Crowbar are among the bands that will perform at Desertfest London 2016 festival. 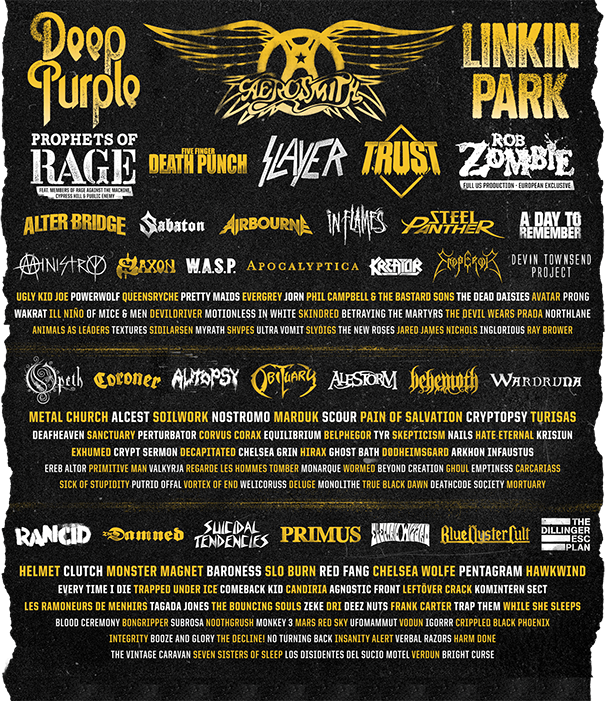 FortaRock will take place in Goffertpark in Nijmegen, Netherlands on May 31, 2014. Iron Maiden, Slayer and Carcass are among the bands that will perform at the FortaRock 2014 festival.